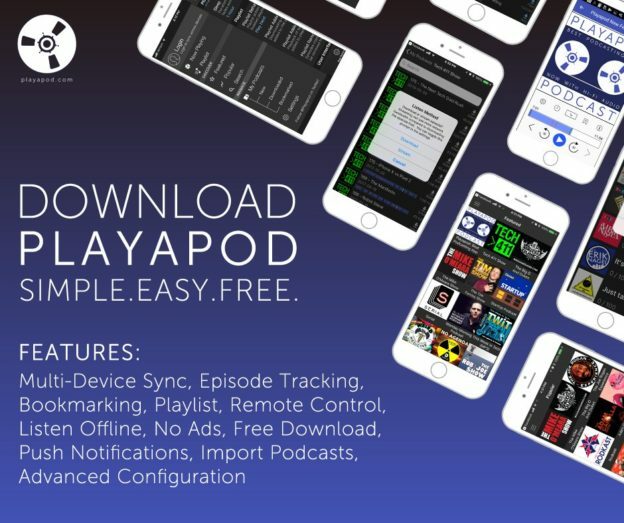 Playapod is a new cross-platform mobile app that improves the experience of consuming podcasts on your mobile device. As an avid consumer of podcasts, I was unhappy with the other apps on the market. One of the biggest features of Playapod is syncing to the cloud so all your podcasts are available on all your devices. You can pick up any device and start playback exactly where you left off. It’s a great feature but it’s not my favorite of all–That would be the Playapod Progress Bar. Playapod’s Precision Progress Bar displays where you have listened (blue), skipped (black), and favorited (red) in addition to your current audio position (turquoise). It also displays what you have listened to since pressing play (bright blue). All of this information is synced across all your devices. I’ve always wanted a progress bar that displays exactly what you have listened to and skipped over. Have you ever accidentally jumped to the end of your podcast or fumbled with your device and lost your place? It’s happened to me so many times. I never understood why audio book and podcast apps wouldn’t display in a different color the parts I have actually listened so it wouldn’t matter if I lost my playback position. Also, there are many times when I want to replay something later–maybe a good laugh or an interesting piece of news. I added time-coded bookmarks to the progress bar which makes it very easy to go back and share the best moments of a podcast with friends. There are many more great features in the Playapod app and you can read more about them in the Playapod press release. You can download Playapod for free and try the cloud syncing and progress bar improvements yourself. I think you’ll really enjoy it! This entry was posted in Android, iPad, iPhone, Mobile App, Site and tagged Android, cross-platform, free, iOS, mobile app, podcast, podcasting, podcasts, syncing on February 8, 2018 by todd. Do you think the Internet has just exploded because of the recent changes to Net Neutrality? It’s a complex topic but my latest Tech 411 Show does a full deconstruction. It’s a full hour episode that’ll be sure to help. And even if you don’t agree with me, you’ll still end up being the smartest guy in the room. This entry was posted in Site and tagged net neutrality, policy, tech on December 15, 2017 by todd. My introduction to bone broth came from reading a book on fasting. It recommended consuming homemade bone broth to provide essential nutrients and to help with hunger pains while fasting, however, you don’t need to fast to enjoy its many health benefits. The important thing to know is you can’t buy high quality bone broth. There are tons of brands out there that tout labels of “organic” and “grass-fed,” but trust me, I’ve tried them and it’s not the same. You just have to make the magical and natural concoction yourself. The best bones are the ones that do the most moving (such as joints) and contain the most marrow. Instead of using chicken legs, use the whole quarter–or even better, the whole chicken. Chicken feet and beef knuckles have the most collagen and will make for a richer and healthier batch. If you’re going to spend the effort making this then you might as well make the best batch possible. Check your local farmer’s market for buying grass-fed beef bones or organic chicken. Check international grocery stores for buying chicken feet if your local butcher or farmer’s market doesn’t carry them. If cooking chicken legs, quarter, or whole chicken then you’ll want to save the chicken stock from the initial boil. If cooking beef bones or chicken feet skip this step. Put chicken in a large stockpot, cover with water, add a few generous pinches of pink Himalayan salt, and simmer until meat is cooked (about 15-20 minutes after you start to see bubbles). Take meat and bones out of water, pull meat off bones (if using bones with meat) and save for another recipe/meal, continue to simmer water and proceed to final directions. If cooking with beef bones or chicken feet you’ll want to prepare them with a quick boil and then dump the water. It won’t smell especially pleasant and you don’t want to reuse like you would if doing a full chicken. Boil the chicken feet or beef bones for 5-10 minutes. Remove from pot and dump the water. 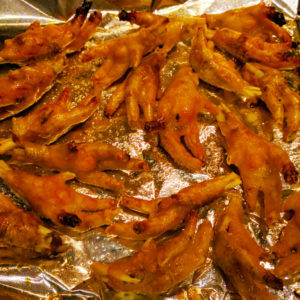 If cooking chicken feet, cut off the tips of toes/claws and discard. Place bones on a sheet pan and roast at 450-500 degrees for 45-60 minutes. Bones will become golden brown and smell really good. They can take a lot of heat. The longer they roast (without burning) the better the broth will taste. If you prepared chicken then return it into the existing chicken stock. If you prepared chicken feet or beef bones: Place roasted bones into the stockpot with fresh water and add a few generous pinches of pink Himalayan salt. As the broth cooks down, you’ll need to add more water. This is usually done 2-3 times during the entire cooking process depending on how long you simmer the broth and bones. Simmer chicken bones at least 8-10 hours and beef bones at least 24-48 hours. If you aren’t comfortable leaving the stove on that long, you can place the broth and roasted bones in a crockpot and continue the process there. When broth is done, remove bones, and pour through fine mesh strainer or sieve. Congrats on making your first batch of healthy homemade bone broth. It is best consumed over the next few days, but it can also be frozen if you want to consume it at a later time. I portion the broth before freezing so it’s easy to thaw and drink when I need a quick immune boost or when I’m doing a shorter fast and need a smaller amount. Enjoy! 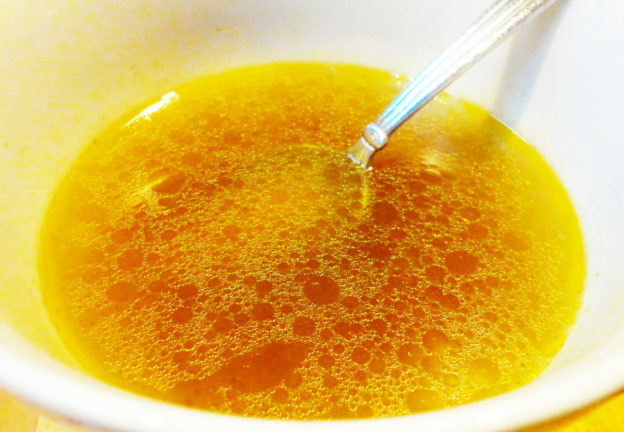 This entry was posted in Health, Site and tagged beef, beef bone broth, bone, bone broth, broth, chicken, chicken bone broth, recipe on October 8, 2017 by todd. I’m excited that my company, TMSOFT, recently launched White Noise 7 and it was covered by Tech Crunch. I’ve spent the last 8 years developing the White Noise sleeping app and spent the last 2 years building a platform called the White Noise Market that will now allow users to share their own White Noise recordings and mixes. The first question Lora Kolodny asked while interviewing me about the launch was “Doesn’t SoundCloud do this? How is it different?” I told her White Noise creates audio loops from your recordings so they can be listened to all night without interruption. If there is just a small gap in audio or something doesn’t seem smooth when the sound repeats then people will wake up. I’ve spent years building an algorithm to create a perfect audio loop and now our users can help us in creating the world’s largest collection of relaxing sounds. As I was driving home from the office the day of the interview, I continued to think about her question. Isn’t it more than just creating the perfect audio loop? I failed to mention White Noise allows you to attach a photo and location to each recording and when you share it to the community it appears on a world map. Want to find a specific sound from your region? Now you can drill into this shared world map to discover regional sounds. I thought to myself, that’s pretty cool but is that really unique? I thought more about what makes the platform unique. Users that post their recordings allow other users in the community to not only download them, but also to use them in their own sound creations. These new soundscapes are created by mixing multiple sounds together, changing various audio properties, and then uploading the new creation back to the White Noise Market. These shared audio loops have now become building blocks that can be assembled in different ways then published again as a completely new and unique sound. I think this process is what sets White Noise apart. It’s not just about uploading your sound and saying, “Here it is world. Enjoy!” White Noise users will be able to build something new from other people’s sounds and from there it could really grow into something more unique. So it’s not just an audio sharing platform. It’s a platform where the content is constantly evolving and growing into something new and exciting. I think that makes the White Noise Market pretty unique. This entry was posted in Site on August 7, 2016 by todd. Over the years, I’ve received many questions about how to take an idea and turn it into a product. This ultimately was the inspiration for my book, “Tap Move Shake,” which had more than just coding tutorials. It was an entire playbook from start to finish that included creating media, publishing, and marketing. Some found it to be very useful (mostly engineers that didn’t know how to do marketing), but others just didn’t want to put in the effort required even though they had the best idea ever. How about 50% because even though I don’t know you I bet it’s amaaaaazing! I would like to stay on the creativity side of it, too. Nobody will sign a NDA to hear an idea. Nobody. 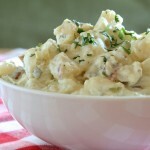 People have become fueled by the movie Social Network, seasons of Shark Tank, and Kickstarter potato salad. They think all you need is a great idea and the money will come. It doesn’t really work like that. Ideas are the fun and exciting part of a long and stressful journey to building something. I know this because I’ve spent lots of years building lots of somethings. I have given countless presentations over the years handing out a ton of advice. But more and more I find that people seem to think all you need is a good idea and that alone will result in someone paying you for it, cutting you in with a percentage, or working on it for sweat equity. That’s not realistic at all. Even Dilbert knows this. New entrepreneurs should read the article, Your Ideas Have No Value by Carol Roth which explains it perfectly. It’s really all about the execution. Starting a business is not easy and I personally know of far more failures than successes. In order to mitigate that risk of failure you need to obtain a wide-range of knowledge. 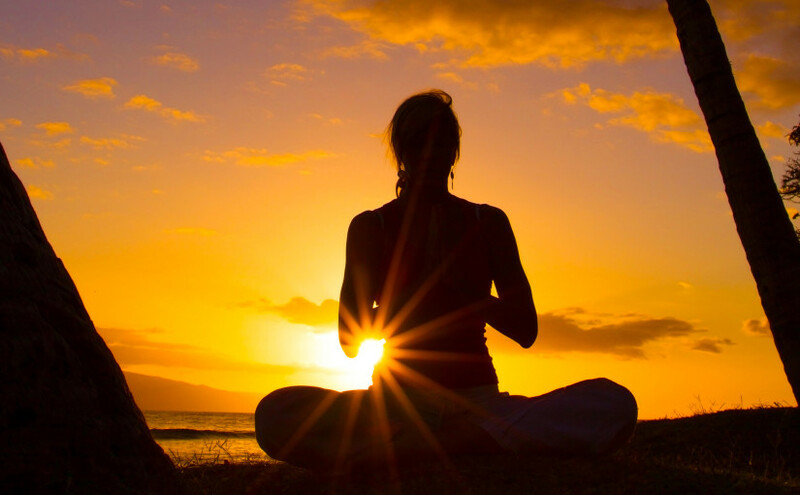 I think the most successful entrepreneurs have a common trait that’s programmed into them–they never stop learning. If they succeed at something, they will learn from it. If they fail at something, they will learn from that too. It’s a process and their journey usually begins by having a job working for someone else, collaborating with others, and gaining as much knowledge as possible. There are no shortcuts. Working hard to learn a myriad of different skills has been the key to my success. There isn’t an employee in my company that I can’t fill-in for. That’s because at the beginning I was the one that did that job. I taught myself how to build mobile apps, but I also learned how to do quality assurance, customer support, marketing, accounting, sound engineering, graphic design, and more. I needed to have general knowledge of every part of the business. Granted, it was out of necessity because I couldn’t afford hiring for those positions when I first started. Now that my business is thriving, I can hire people to work on my ideas. I can finally be the idea guy and have others build it. But that’s only because I worked hard to get here. If I haven’t talked you out of pursuing your idea yet and you are excited to learn more then I highly recommend these great podcasts, videos, and websites as resources to get you going. Everything is a Remix – Please watch this right now, especially if you think your idea is the first of its kind. 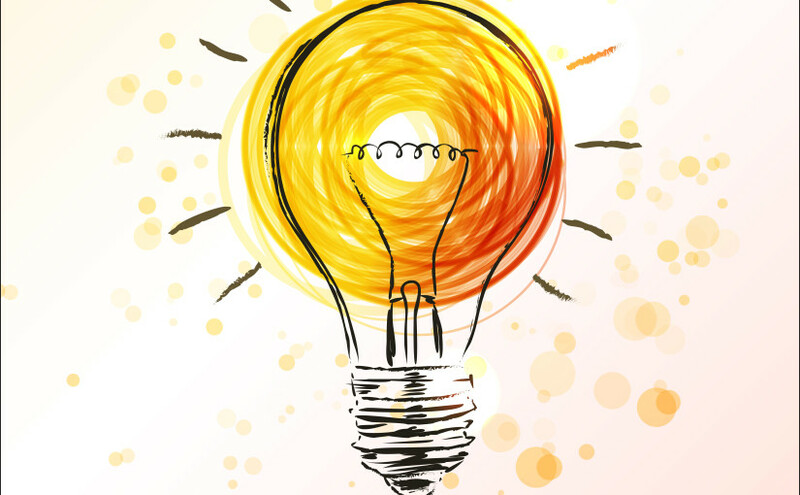 It’s a very thought provoking video series on the originality of ideas. Startup Podcast – All about starting a business. And it’s told as a story rather than a basic “how-to” so it’s not boring. Tim Ferris’ Podcast – Tim interviews world-class performers such as Chris Sacca (billionaire investor of Uber, Twitter, etc) which is about as good as it gets for advice. Almost all of Tim’s interviews have great takeaways in them–I find myself learning a little something new each time I listen. TWiT TV – Leo Laporte has been covering tech forever and runs a great podcast network with lots of varied tech shows. He hosts This Week in Tech and it’s one of my personal favorites. Robert Scoble – Robert covers the future of tech and interviews lots of tech founders and entrepreneurs. Follow him on Facebook for his most up to date posts and announcements. Meetups – I’ve met great people at tech meetups in my local area. There is a lot of good advice and resources out there for free. I’ve even made some good friends too. Tech 411 – Oscar Santana and I host a tech podcast called Tech 411. It’s okay. It really boils down to this—if you are passionate about an idea, willing to work extremely hard on it, and learn as much as possible in the process then you might have a chance. A chance to be more than just a person with an idea. You can be the person that built that thing that everyone needs. And I’m all for that! This entry was posted in Site on April 9, 2016 by todd. This entry was posted in Site on June 19, 2015 by todd. I’ve been asked by Congress to testify before the Subcommittee on Courts, Intellectual Property, and the Internet. I feel honored to be representing small businesses on the issue of patent trolls. I hope sharing my story will help bring meaningful patent reform so small businesses can spend less time with frivolous lawsuits and more time on innovation. Check out my recent article on Why Congress must ensure ‘game over’ for patent trolls. This entry was posted in Site on March 23, 2015 by todd. 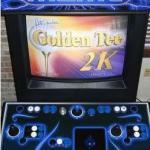 My “How to Build your own Arcade System” article has always been my most popular article. According to Google Analytics it represents over 99% of all my visitors to this blog. If you search Google for “how to build an arcade” you’ll see my article is the #1 link out of 21,800,000 results. I think the reason is… well… first, it’s a pretty good article. 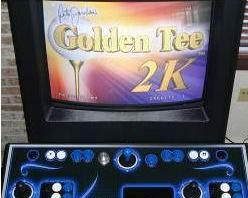 I remember when I wrote it, years ago, that there wasn’t one place that had all this information–the arcade cabinet, the hardware used, the software configuration. It was months of research. A labor of love. The article that followed was completely original. My words. And then over time other blogs started linking to it. Discussing it. And ultimately that’s the reason why Google thinks it’s pretty good too. This entry was posted in Site and tagged Arcade, Google, Search on January 23, 2015 by todd. Flappy Bird’s company dotGears recently notified Apple that my game Duck Run infringes on their copyrights, specifically the bird character used in the game. I spent hours drawing my duck character in photoshop and I think it looks nothing like Flappy Bird. What do you think? The above Flappy Bird image was pulled from the USPTO FlappyBird trademark application. This application was recently filed by Dong Nguyen in March, 2014 and is waiting for review. He is not just filing this under electronic games but also watches, stationary, hand-bags, glassware, blankets, pillows, clothes, and toys. Not only is Flappy Bird coming back to the App Store, but it appears dotGear is taking the Angry Birds approach and will start selling merchandise. And why not? We all know the story of Flappy Bird and how it quickly became a huge success only to be removed from the App Store because the author couldn’t handle the stress. I covered this story on my Tech 411 podcast and even had a chance to meet the author, Dong Nguyen while at GDC this year. 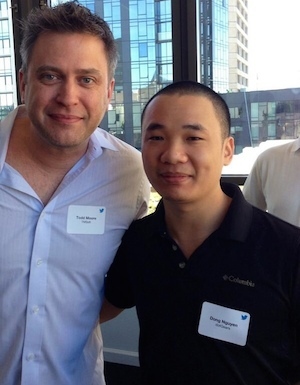 I was actually really excited to meet him, as the Flappy Bird story was really big at the time. I only asked him one question, “Are you bringing Flappy bird back?” “Yes” he replied. We were both at Twitter HQ so it seemed appropriate that I should tweet the news. The next thing I knew, Mac Rumors was running the story. 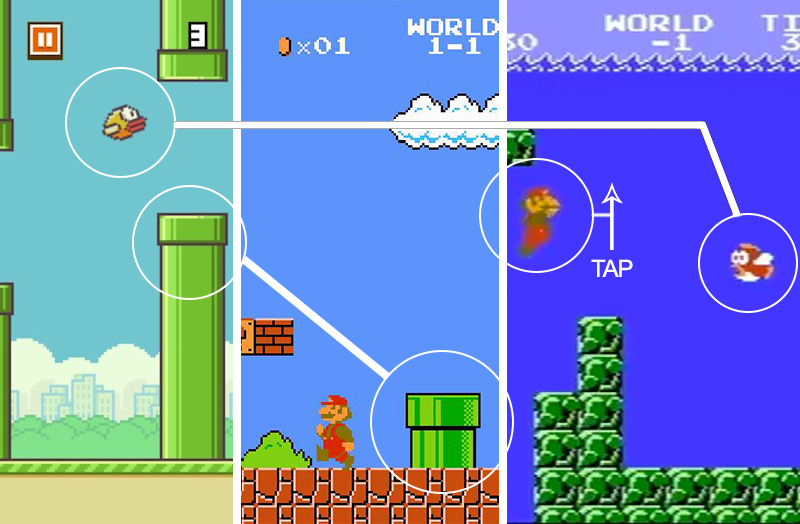 Flappy Bird, on the left, has almost identical green pipes found in the Super Mario Brothers game. The Flappy Bird gameplay is very similar to the secret underwater world found in the same game. Mario is controlled by tapping a button that flaps his arms causing him to move upward, while not flapping causes Mario to fall downward. The Flappy Bird graphic itself looks more like the fish from this same underwater level than my little ‘ol duck. Dong said that it took him 3 days to create Flappy Bird. I was impressed he was able to make a side-scrolling game in just 3 days. I wondered if I could create a flappy style game in the same amount of time. Considering I’ve competed in plenty of hackathons and even wrote a game in just 20 lines of code (which became the starting point of my book), I thought this would be a fun challenge to take on. After just 3 days, I had completed my game which I called Duck Run and released it to both the Android and iOS platforms. Duck Run received great reviews and has pulled in around 200k free downloads. Because it was so simple, it became my go-to game for learning how to port to other platforms. It’s now available on the Mac platform and Amazon Fire TV. I think it’s smart to have a simple game in your portfolio for this reason alone. The last thing my company needs is another frivolous lawsuit, but I refuse to be bullied into removing Duck Run from the App Store. I think it’s pretty clear it does not violate any trademarks or copyrights. I’m not sure the original Flappy Bird game could say the same thing. This entry was posted in Site on June 6, 2014 by todd. My company TMSOFT was recently sued by Lodsys in the eastern district of Texas. I initially thought I was being sued for using a hyperlink in my White Noise application (see below). I know now I’m being sued because the CEO of Lodsys didn’t like what I publicly said about their company. That’s right. I’m being sued because I called Lodsys a “patent troll” on my podcast, Tech 411. This all started in May, 2011 when my co-host and I re-launched Tech 411, formerly a radio show in Washington DC, as a podcast on iTunes. 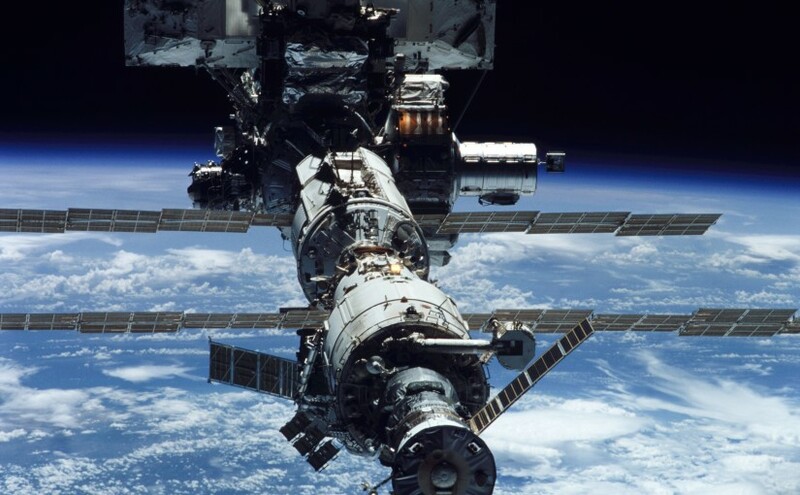 Our first couple shows discussed how Lodsys was going after app developers. I commented that Lodsys was “patent trolling” with “evil letters” that were “complete b.s.” Around this time Apple had featured our show and it quickly became the #1 tech news show on iTunes. Shortly after these shows were published, I received one of the infamous Lodsys letters which said I was in violation of their patents. Their letter included a screenshot of White Noise showing a web page used to share news and cross promote other apps. They highlighted a hyperlink that would open a URL to another one of my apps on the App Store. If opening a URL to a web page or app store listing is in violation of their patents then everyone who publishes an app would be in violation. 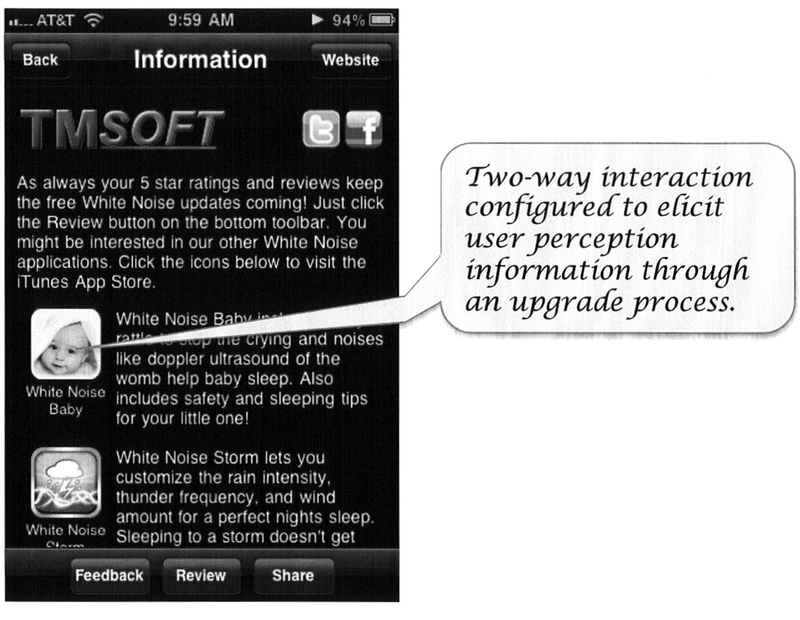 Lodsys claims this part of my White Noise app is a “Two-way interaction configured to elicit user perception information through an upgrade process” and is violating their patents. I call it a HTML hyperlink. I invited Patrick Igoe, a registered patent attorney, onto Tech 411 Show #5 to discuss the matter. Patrick had already done analysis of Lodsys’ patents at his applepatent.com blog and he couldn’t find a single reason why app developers would be in violation. That was the same conclusion that Apple’s own legal counsel came to as well. Over the course of a couple years, I received a few voicemails from either Lodsys or the law firm that was representing them. They wondered if I had any questions regarding taking a license agreement. The only question I ever came up with was wondering how they slept at night. I’m sure the White Noise I created for the purpose of better sleep wouldn’t help them. I continued to hope that Lodsys would think my company was too small to pursue. 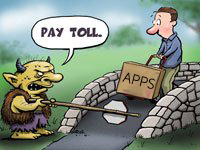 That all changed when Lodsys sued another batch of App Store developers which included my company TMSOFT. They even filed suit against the Walt Disney Company. I guess I could be flattered that my little company is being sued along with a 100 billion dollar company, but it isn’t possible for smaller companies like mine to afford a proper patent litigation defense. I’m sure Walt Disney will be fine, but smaller companies like mine are usually forced to settle. And Lodsys really doesn’t want to go to court either; they just want companies to pay a licensing fee and not put up a fight. I’ve been fortunate to have Dan Ravicher from PUBPAT (pubpat.org) represent my company pro bono in this matter. Pubpat is a not-for-profit organization that has the mission to protect freedom in the patent system. He’s a champion of the little guy who has offered to help app developers and small companies that have been targeted by Lodsys. He is currently representing local farmers against Monsanto, a company that is very aggressive with its patents on genetically modified seeds. He has presented at Google on protecting freedom in the patent system in which he describes some serious issues with our patent system. Dan contacted the lawyer for Lodsys, who actually admitted to him that this wasn’t about money. It was about the things I said on my tech podcast and blog. During that time, the CEO of Lodsys, Mark Small, was getting a lot of negative media coverage and even wrote on his blog that he received several death threats. Mark obviously didn’t like the comments I made about his company and retaliated by sending a patent infringement letter. Lodsys is seeking a percentage of revenue from the time they sent me the letter to the time their patent expired. Usually they request around 1% of your in-app-purchases. My company made about $500 with in-app-purchase during this time period and 1% of that is $5. What? I’m getting sued for $5? Given it cost Lodsys $350 to file the lawsuit I assumed they would ask for more than that. And they did. Lodsys offered to settle with my company for $3,500. If I pay them off, what is stopping the next troll from knocking on my door? Nothing. And I’ve heard that if you pay a troll to go away it can lead to more trolls showing up. It’s like your company gets added to a spam list. That’s not a list I want to be on. I’d rather be able to talk about this issue and hope that at some point in the future our patent and legal system will change to address this serious problem. In the end, it’s dragging down our economy because small innovative companies have to spend time and money defending themselves against bogus lawsuits instead of hiring new employees. My apps are not in violation of Lodsys’ patents. My lawyer believes this. Apple has stated app developers are not in violation. The EFF says it’s time to beat this troll. If I were to take the Lodsys offer then I’d have to sign terms where I couldn’t talk about it. That’s a real problem because there are lots of people that want to share their patent troll story but they are no longer allowed. I don’t want to be censored. I want to openly discuss issues that are facing my industry. I believe that this case will be dismissed (PUBPAT has filed the motion to dismiss below on TMSOFT’s behalf) and I hope this will open up a path for others to follow. Will you help me in this fight? One thing you can do to help is spread the word to raise awareness. Share this article on Twitter and Facebook. Another thing you can do is donate to PUBPAT’s Defend Apps from Patents Campaign. This entry was posted in Patents, Site and tagged apps, lodsys, patents, trolls on July 2, 2013 by todd.